Attaining wings (Awakening) at the height of ascent. Sushumna is the central channel of 3, connecting the base chakra to the crown chakra. 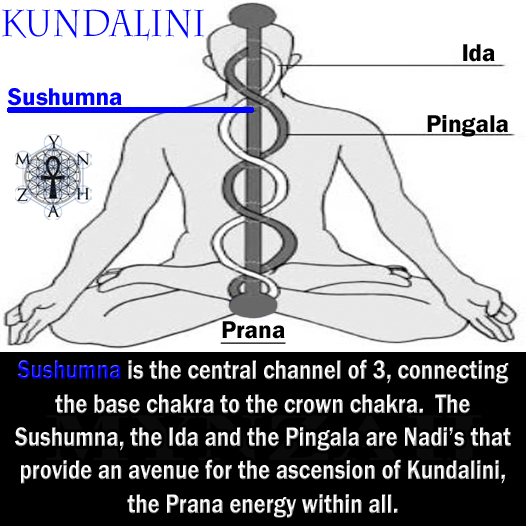 The Sushumna, the Ida and the Pingala are Nadi’s that provide an avenue for the ascension of Kundalini, the Prana energy within all.